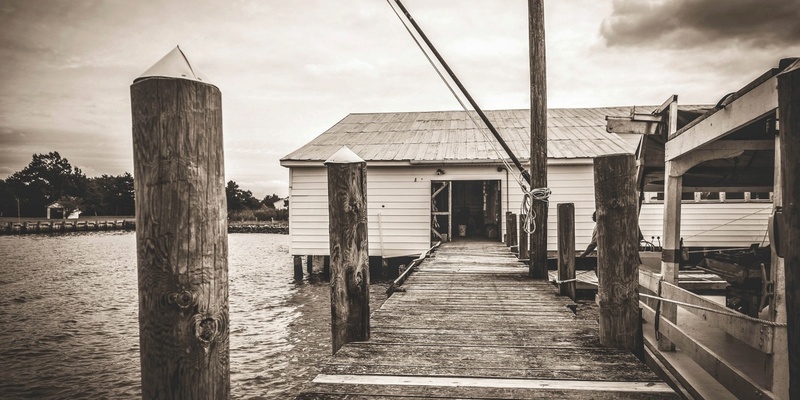 Our oysters are crafted in a little slice of heaven known as Hooper’s Island—on the Chesapeake Bay. Madhouse oysters begin life in our Hooper’s Island facility before being moved for grow-out to our leased grounds out on the mainstem of the Chesapeake Bay. 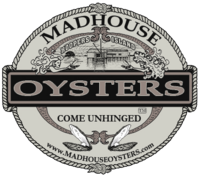 Madhouses mid-bay location is the perfect finishing school for the subtle saltiness of our cultured oysters. The clean, crisp, sweet (like a first kiss) finish, is a gift of the Maker who fashioned these legendary oyster grounds and is by no means a result of our labors. Our hard, sandy bottom leases out in the open waters of Chesapeakes mainstem yield an oyster with an exquisitely balanced flavor. Sustainability is the capacity to endure. Scott Sr. is the fourth generation of Robinsons to work these waters. Scotty is the fifth and Scott III has already had his hands in the nursery at a tender age. The oysters provide a means for our livelihood and future generations while they daily filter and clean the waters of our home place, removing nitrogen, phosphorus and suspended sediments, while encouraging submerged aquatic vegetation and a host of underwater life; including our beloved seahorse. 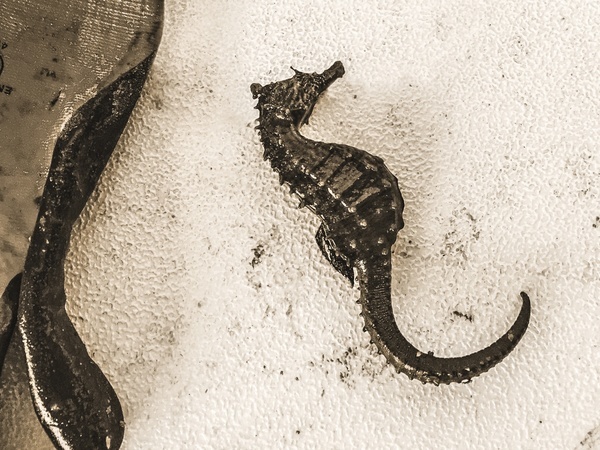 The presence of the seahorse on the farm (they love hanging on to the cages) is indicative of clean waters and a healthy ecosystem. Madhouse Oysters. 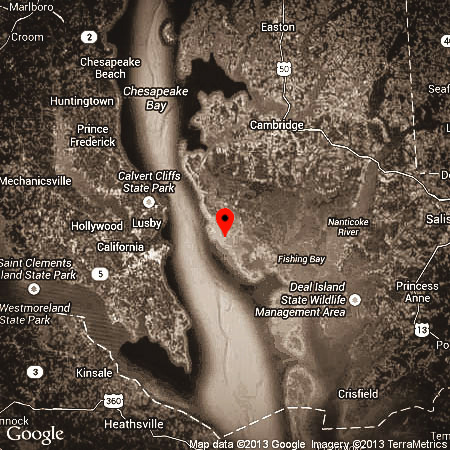 The epicenter of flavor from the Chesapeake Bay. Aquaculture is the intentional and labor intensive process of growing food in the water. Actually, it’s like growing rocks for a living. When oysters start out in the spring, a million seed fits into a seed bag about the size of one of our tasty Eastern Shore cantaloupes. By Thanksgiving they’d fill 2 to 3 tractor trailers! We start setting larvae in early April, shifting seed oysters through a series of tanks until they reach 1/4” in size. Next stage is through a series of floating SEAPA baskets on long lines in our nursery leases in Back Creek and the Honga River. Once the oysters reach 5/8” to 3/4” they’re transported for grow-out to our leases in the mainstem of the bay. Here, over the next 12 to 18 months, we tumble, sort and generally baby them through a series of bottom cages encouraging them towards that deep cup and consistent shape our customers are seeking. Beastly work, but worth every minute when we get rave reviews on our beauteous little blobs. Sustainability requires endurance, careful planning and unwavering focus on the future. At Madhouse we are “all in” for faith, family, farm and fans. Chesapeake oysters. Benchmark of flavor.